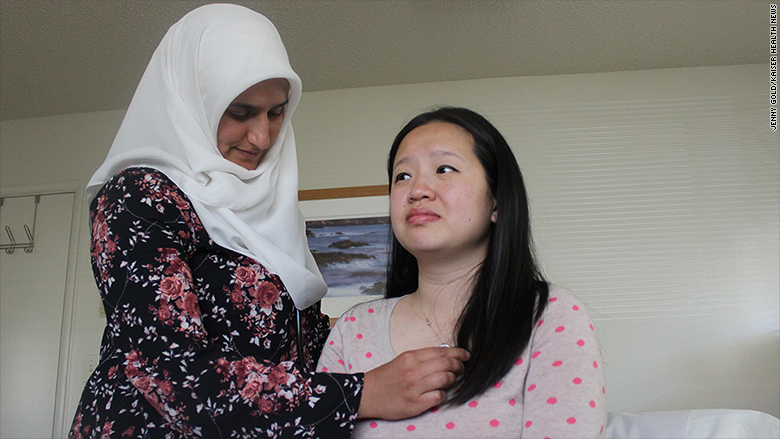 When Dr. Sarah Azad followed her mother into the field of obstetrics eight years ago, she thought she'd be in private practice for the rest of her career. At the time, independent practices abounded in Silicon Valley. "From the time we were young, my mom's patients loved her. She was a part of their lives. That's just always how I've seen medical care," she said. But over the past decade, she's watched as doctor after doctor sold their practice and went to work for one of the large hospital systems in town. 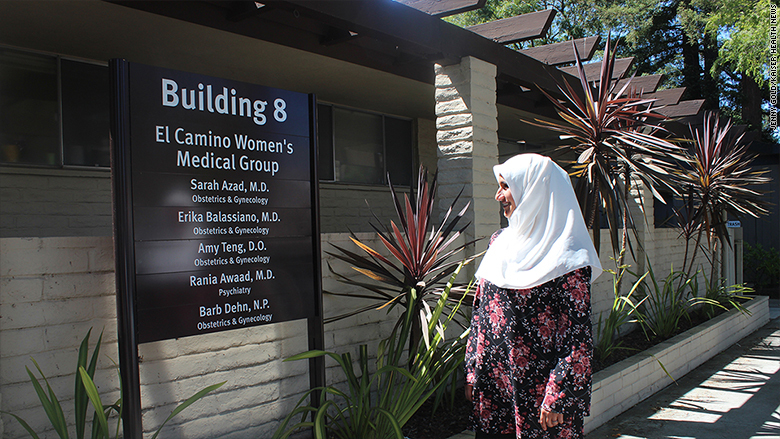 Today, Azad runs one of the last remaining independent OB-GYN practices in Mountain View. The number of physician practices employed by hospitals increased by 86% from 2012 to 2015, according to a study conducted by Avalere Health for the nonprofit Physicians Advocacy Institute. Dr. Sarah Azad in front of her Silicon Valley practice. A recent study in Health Affairs found that large doctor practices, many owned by hospitals, exceed federal guidelines for market concentration in more than a fifth of the areas studied. But the mergers are typically far too small for federal antitrust authorities to notice. Perhaps nowhere has the trend been more pronounced than in Northern California. As large hospital systems like Sutter Health, Stanford Medicine and UCSF Medical Center gobble up doctor practices, they gain market muscle that pushes costs upward. It's a key reason why Northern California is now the most expensive place in the country to have a baby. "When you have less competition, prices go up," said Martin Gaynor, a health care economist at Carnegie Mellon University. You have a hard time offering an attractive insurance product [without Sutter] because it's so big and pervasive. So you don't have the same negotiating power, and Sutter can extract higher prices." In the San Francisco Bay Area, the reimbursement rate for a vaginal delivery is two to four times higher for physicians who work for large hospital systems than for those who are independent, according to a Kaiser Health News analysis of claims data and medical cost calculator results provided by employers to workers. The extra money for physician services goes to the hospital system, and doctors, now on salary, might take home no more than before. In Northern California, Sutter, Stanford and UCSF all mentioned quality as a reason their physician prices are higher. "Sutter Health-affiliated doctor groups consistently rank among California's highest performers," Dr. Jeffrey Burnich, senior vice president at Sutter Health Medical and Market Networks, wrote in an email. In the long run, "by improving care quality and efficiency, we reduce costs." But in general, research suggests bigger is not necessarily better. Fewer patients of small physician-owned practices, for example, are admitted to the hospital for preventable conditions than those of large hospital-owned practices, according to a 2014 study published in Health Affairs. And a recent paper, also published in Health Affairs, found that high-price physician practices, which cost at least 36% above average, had no better quality than low-cost practices. 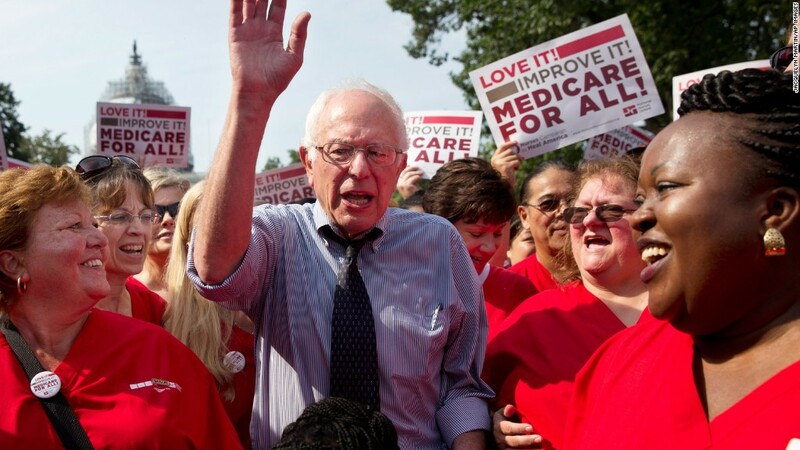 "All of the evidence that we see shows that the quality in these larger systems is the same or worse," said Kristof Stremikis, associate director for policy at the Pacific Business Group on Health, which represents employers that provide health insurance. Azad says running a practice in one of the most expensive parts of the country is getting harder. "Rent goes up 3% per year. Water and utilities went up 18% last year alone. But seven years later, [the insurers] are still paying me the same amount, despite any efforts to negotiate." When Azad and a consultant she hired tried reaching out to the insurance companies to ask for higher rates, she said, "One ....responded saying, 'You don't even have 2% of market share. Basically drop our contract or not — it doesn't affect us.'" Another insurer told her they couldn't raise her rates because they had to pay too much to the larger health systems in town, she added. Independent doctors in the Bay Area are reimbursed a median amount of $2,408.45, on average, for a routine vaginal delivery, which includes prenatal and postnatal visits, according to the Kaiser Health News analysis of claims data provided by Amino, a health cost transparency company. That compares with $5,238.13 for the same bundle of services for Stanford physicians and $8,049.84 for doctors employed by UC San Francisco. The Amino database did not contain many claims from doctors employed by Sutter so a reporter also reviewed OB-GYN charges on several insurers' online cost estimators. The review found that Sutter Health obstetricians are reimbursed about three times more for the same service than independent doctors, or about $6,452 for a vaginal delivery. For their part, the big Bay Area hospital systems caution against oversimplifying the many factors that go into paying for obstetrical care. A Stanford spokeswoman, Samantha Dorman, said the health system incurred significant costs when it integrated new provider groups. For instance, many were not yet on electronic health records and needed updated equipment. Dorman added that Stanford reduced physician charges a few years ago to be more in line with other practices. Azad with one of her patients. A UCSF spokeswoman said that while the system charges more for physician services, it charges less for other hospital services. Overall, she said, their costs are competitive. Sutter suggested it was not accurate or fair to judge physician price discrepancies on online cost calculators, which Burnich said are inconsistent and often out-of-date. Meanwhile, the type of consolidation that Azad has witnessed in Northern California is spreading quickly throughout the country. The most consolidated places like Northern California, Pittsburgh and Boston have become a "poster child of what not to do," said economist Gaynor of Carnegie Mellon. "We should look at places that have consolidated and think about how to avoid that." Kaiser Health News, a nonprofit health newsroom whose stories appear in news outlets nationwide, is an editorially independent part of the Kaiser Family Foundation. Kaiser Health correspondent Sydney Lupkin and senior correspondent Jay Hancock contributed to this report.